Run by Roy Carnell and Stuart Galloway, who both were involved in the optical special effects on Superman. They were located in Berkshire. Written 1981 by Roy Carnell. 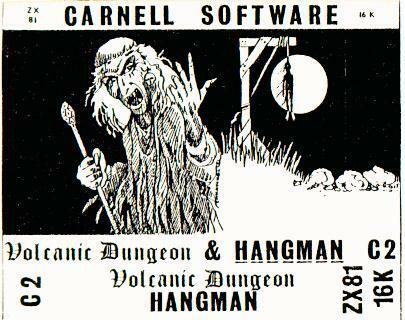 Notes: Distributed on the same cassette as Hangman. Type: Bitmap graphics Written 1984 by Roy Carnell. Notes: This version featured speech with the aid of a hardware accessory called "Currah uSpeech". Type: Character graphics Written by Roy Carnell, Stephen Kirk and Stuart Galloway. Notes: Divided into four parts. 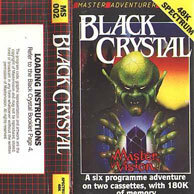 Was also issued on Mastertronic's Mastervision label. Type: Bitmap graphics Written 1982 by Roy Carnell and Stuart Galloway in Basic. Notes: Divided into six parts. You move your character with the arrow keys. Notes: A shoot-em-up, not an adventure. Type: Moving character graphics Written 1983 by Roy Carnell and Tony Bridges. Notes: You move your character with the arrow keys. 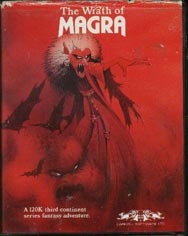 Also published as a listing in "Spectrum Adventures" published by Sunshine Books.